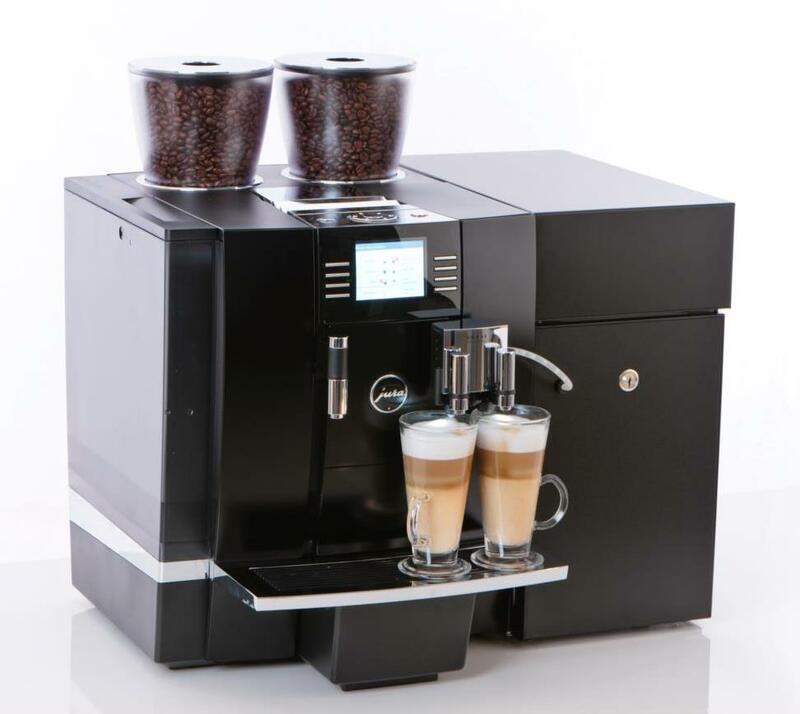 Suppliers of office and commercial coffee machines Barnet and Edgware, Mill Hill, Wood Green, Finchley, Hendon, Totteridge, Southgate, Potters Bar, Enfield, Winchmore Hill, Cheshunt and Buckhurst Hill, please call 0203 096 7233 or 01707 443199 to discuss your needs or visit our central London showroom in Clerkenwell. 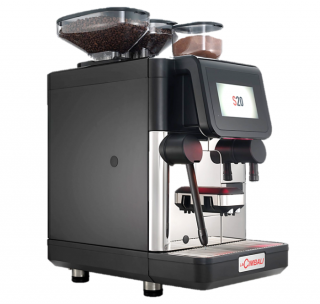 Our range includes automatic bean-to-cup coffee machines, barista espresso coffee machines and coffee grinders, filter coffee machines and bulk brewers and coffee vending machines Dorset for workplaces from brands like Jura, Fracino, Franke, Necta, La Cimbali, Coffee Queen and Bravilor. 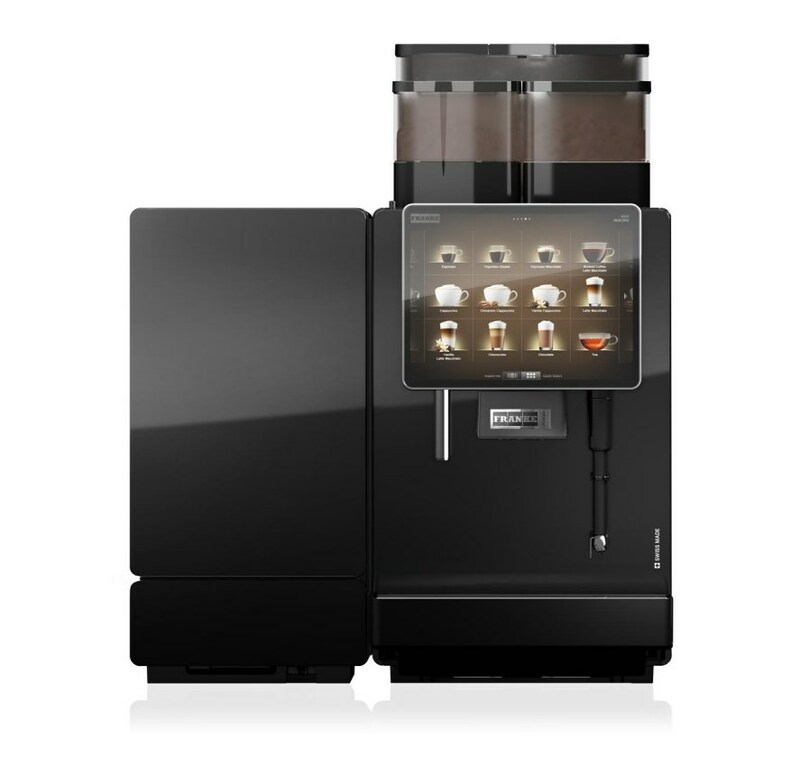 The Franke A600 FoamMaster is a great example of the latest generation of heavy-duty bean-to-cup coffee machines with automatic touch button milk cleaning function to make up to 250 cups per day in garden centres and farm shops and forecourts; you can see this machine in our London showroom, at the top of the page or our video at the bottom of the page. A popular bean to cup coffee machine for North London area is the new Jura Giga JX8 bean to cup coffee machine which gives you a great range of drinks like flat white, caffe latte, cappuccino or espresso made from coffee beans and fresh milk. We install espresso coffee machines across North London and Hertfordshire from brands like Esprezzi, Synchro and La Cimbali espresso coffee machines in 2 groups and 3 groups format with Macap coffee grinders for coffee shops, farm shops, golf clubs and hotels. 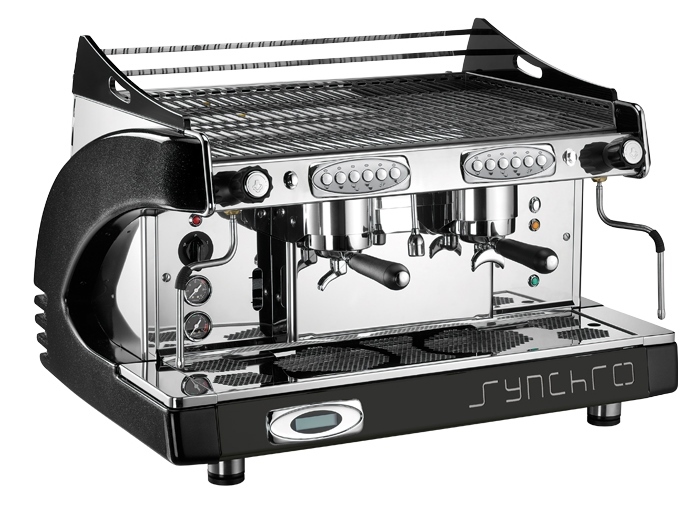 Please see here below the Synchro T2 two group espresso coffee machine which is supplied as a package with Macap MXD grind-on-demand coffee grinder, barista training and a water softener filter. 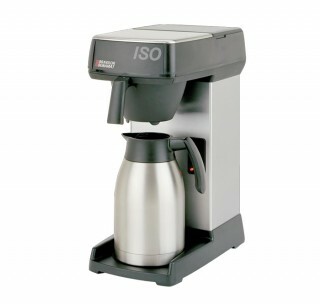 Filter coffee brewers can be very helpful for both office coffee for meetings and as hotel breakfast coffee or for conferences; we supply a range of these machines from a simple jug type filter brewer to a plumbed in bulk brewer. Purchasing a professional coffee machine can be expensive, so we offer a lease rental service whereby the coffee machine package is placed on a 3 year finance deal to spread out the cost and allow the cash to be used for other valuable purposes in your business. We stock a wide range of fresh filter coffees, cafetiere coffees, Fairtrade coffees, espresso coffee beans, teabags, hot chocolate sachets, sugars, crockery and coffee machine cleaning materials. Suppliers of commercial and office coffee machines East London and Stratford, Walthamstow, Barking, Ilford, Hackney, Goodmayes, Leytonstone, Chigwell, Grays, Brentwood, Dagenham, Romford and Hornchurch please call 0203 096 7233 to discuss machines of visit our London showroom close to Old Street roundabout. We supply bean-to-cup office coffee machines, espresso coffee machines, filter coffee brewers and coffee vending machines East London from brands like Jura, Necta N & W, Fracino, Franke, Cimbali and Bravilor. 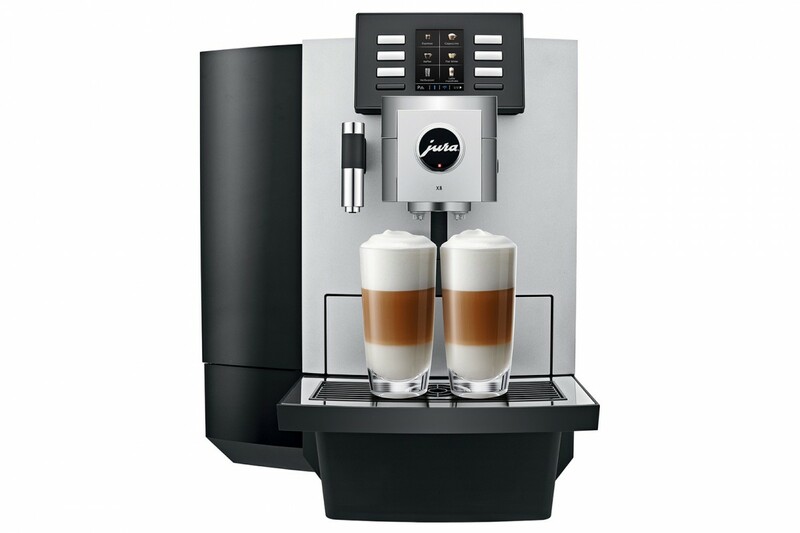 A popular bean to cup coffee machine is the Jura Giga X8 bean to cup coffee machine which gives you a great range of drinks like flat white, caffe latte, cappuccino or espresso made from coffee beans and fresh milk and also a manufacturer’s 2 year parts and labour warranty. 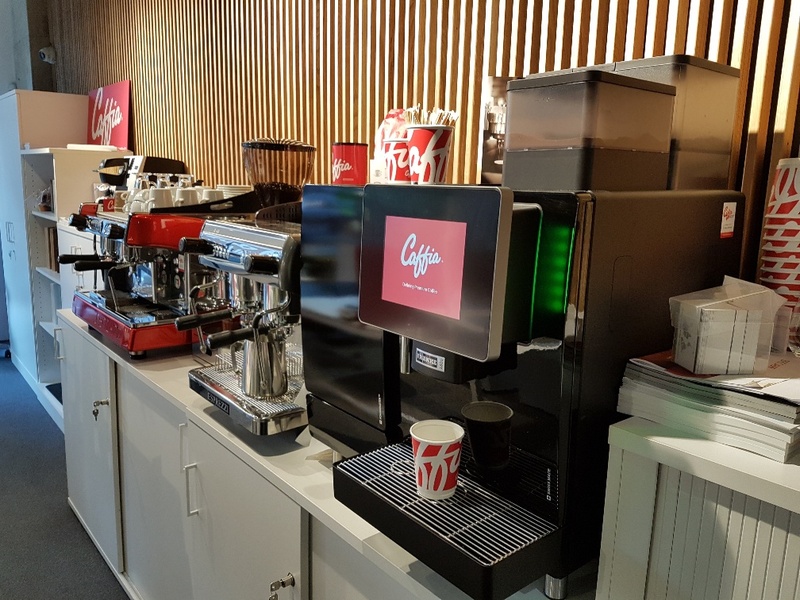 Purchasing coffee machines East London can be expensive – so we offer a lease rental service whereby the coffee machine package is placed on a 3 year finance deal to spread out the cost and allow the cash to be used for other valuable purposes in your business. We offer a wide range of fresh filter coffees, cafetiere coffees, Fairtrade coffees, espresso coffee beans, teabags, hot chocolate sachets, sugars, crockery and coffee machine cleaning materials. Below: East London and Stratford are thriving areas containing iconic structures like the London Olympic Park where the Olympic Games were held in 2012. Coffee machines rental London for commercial and office coffee machines; call 0203 096 7233 or visit our London coffee machines showroom at Clerkenwell to see our range of 2 group espresso machines grinders, brewers and bean to cup coffee machines. We service the City, Canary Wharf, Shoreditch, Islington and Southwark. 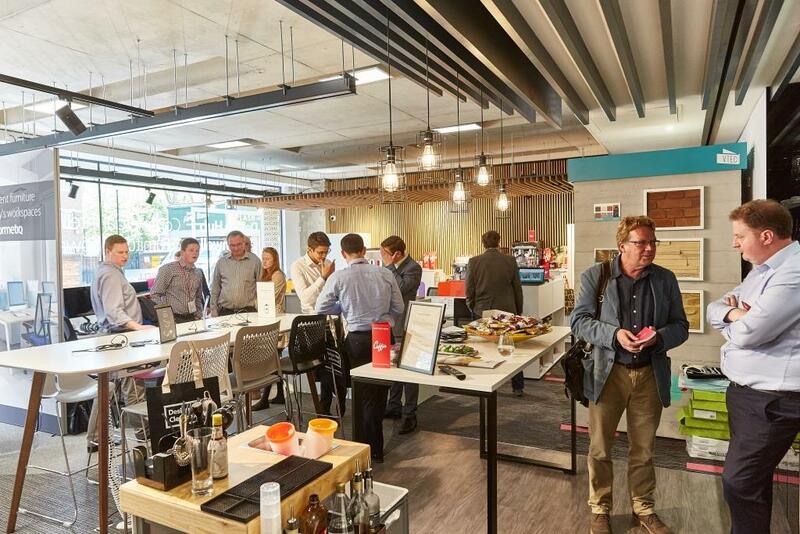 Choose from our range of coffee vending machines, automatic bean-to-cup coffee machines, traditional espresso machines, grinders and fresh filter coffee pour-over machines for flasks or jugs; these are ideal for meetings coffee in busy offices. 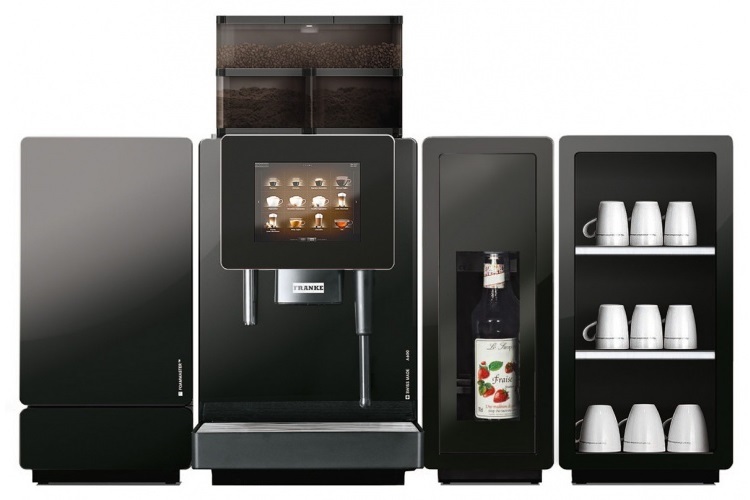 Why coffee machines rental London? Placing your coffee equipment on a lease rental deal allows you to spread out the payments and conserves cash for other applications; it is also tax-efficient because all the rental payments over the 3 year term are fully allowable against your profits so in the overall you would pay less tax. Talk to us about commercial coffee machine rental for your office or workplaces and how we can help you further on 0203 096 7233 or visit our office coffee machine showroom in Clerkenwell. All office coffee machines on lease rental come with operator barista training, Everpure Claris water softener filter, free coffee beans and installation as standard; we advise you carefully so as to ensure the correct professional workplace coffee machine is selected and conserve your precious cash and also offer a wide range of coffee beans and ancillaries. How much does it cost for coffee machines rental London deals? 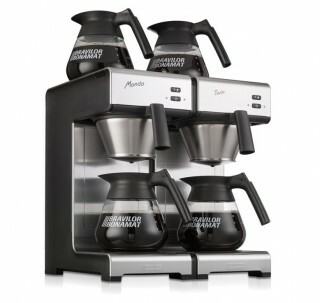 If you take the capital amount or outright purchase price for the coffee machine package that your require as £3000.00 in this fictional example, a typical 3 year lease rental will come out at between £114.00 + VAT per month and £99.00 + VAT per month depending on your credit score and age and health of your business. There is also a £100.00 + VAT facility fee applicable from the finance company with every lease deal which is also subject to status. 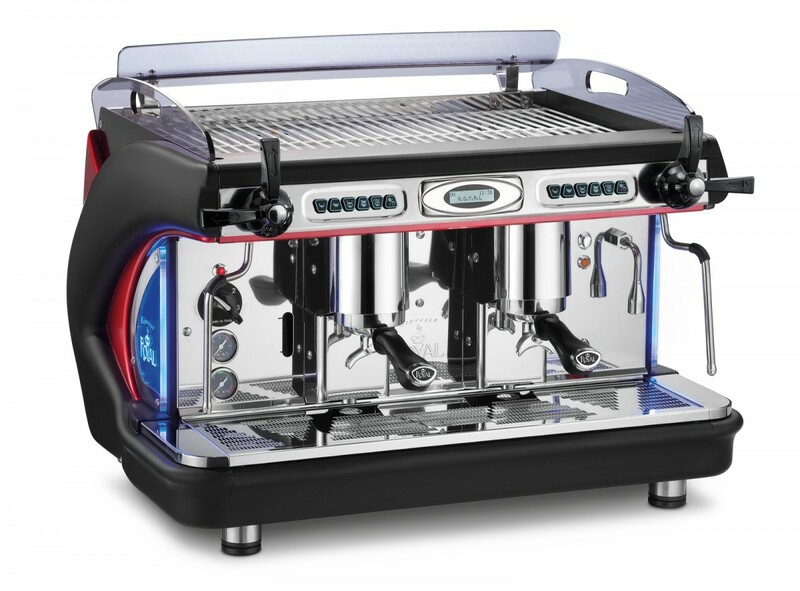 Our range of traditional espresso coffee machines for cafes, bars and restaurants is also available on renal through a 3 year or 5 year lease rental finance deal. We offer the Esprezzi and Synchro and La Cimbali range of espresso machines along with MACAP professional grinders, full barista training and water filters. A filter coffee brewer with glass jugs or thermos flasks can be a very useful but you don’t have to have them on rent as we give them out free on loan! 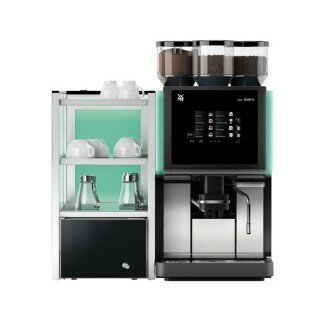 These machines are robust commercial units and last for years, they are ideal for meetings coffee in offices as the coffee is not to strong and can be Fairtrade and Organic if you wish – we don’t just offer machines, we have a range of 8 filter coffees in convenient portion sachets that are perfect for consistent results – email us at: sales@caffia.com for samples! 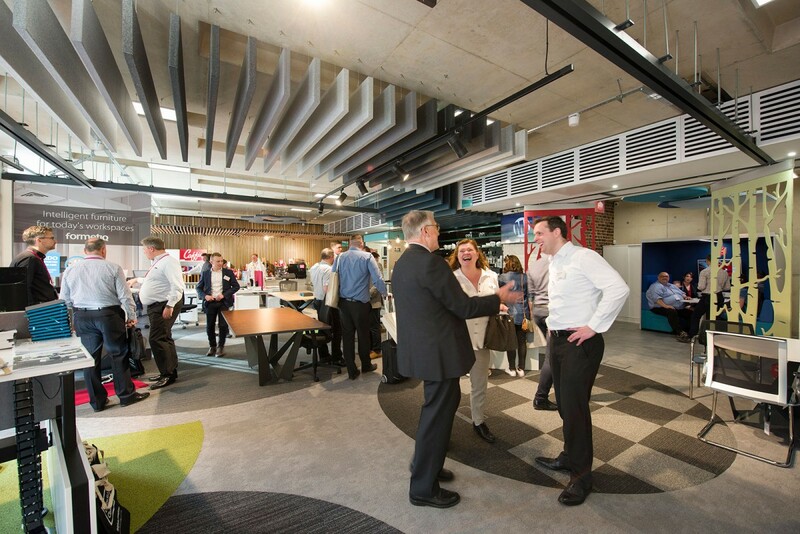 Our London Coffee Machine Showroom at Design Hub Clerkenwell provides a convenient location to view coffee machines, try coffees and meet clients right on the edge of the Square Mile. See the showroom position on Google Maps here or call us on 0203 096 7233 to discuss your needs. Gee Street is near Shoreditch and the Old Street Roundabout – Barbican, Old Street and Farringdon are the nearest stations. Commercial and office coffee machines rental London specialists and installers of 2 group and 3 group espresso coffee machines and grinders with barista training and a range of Organic artisan coffees. Suppliers of self service coffee machines London; visit our central London showroom to see our coffee machines in action and have a look at our video below. Many of our commercial coffee machines are easy to use as self service coffee machines and use either fresh espresso coffee beans and fresh milk or powder milk and hot chocolate. Franke Coffee Systems is a Swiss manufacturer of self service coffee machines London; other models that they offer include the new A800, the smaller A200 and the mighty FM750 and FM850; these are very robust coffee machines designed for up to 400 cups per day of caffe latte, flat white, macchiato, cappuccino, espresso and hot chocolate. 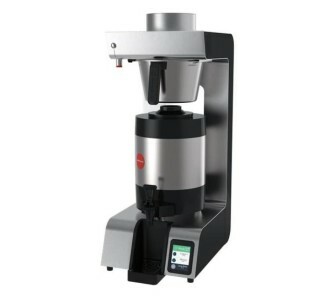 The Jura Giga range of bean to cup coffee machines are also manufactured in Switzerland and are some of our top-performing machines offering remarkable flexibility and extended warranties. 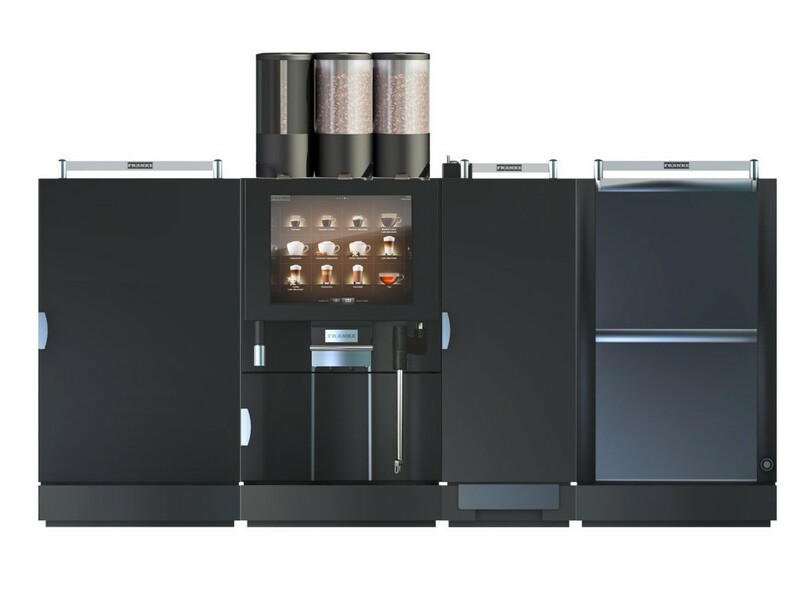 The Jura Giga X3 Coffee Machine has an excellent range of speciality coffee drinks made from beans and fresh milk and also comes with an industry-leading 3 year parts and labour warranty. We offer purchase or lease-rental finance plans over 3 years for coffee machines and grinders. Caffia Coffee Group is a dynamic family-run coffee business with a full range of 16 different prime coffees and professional branded point-of-sale materials – please do ask us for samples of our Fairtrade, Organic and Rainforest Alliance certified coffees in both filter coffee and espresso beans. Contact us to discuss your needs or visit our London showroom and training centre. We supply hotel coffee machines London; call 0203 096 7233 or visit our central London coffee machine showroom in Clerkenwell; close to the City, Shoreditch and Islington. 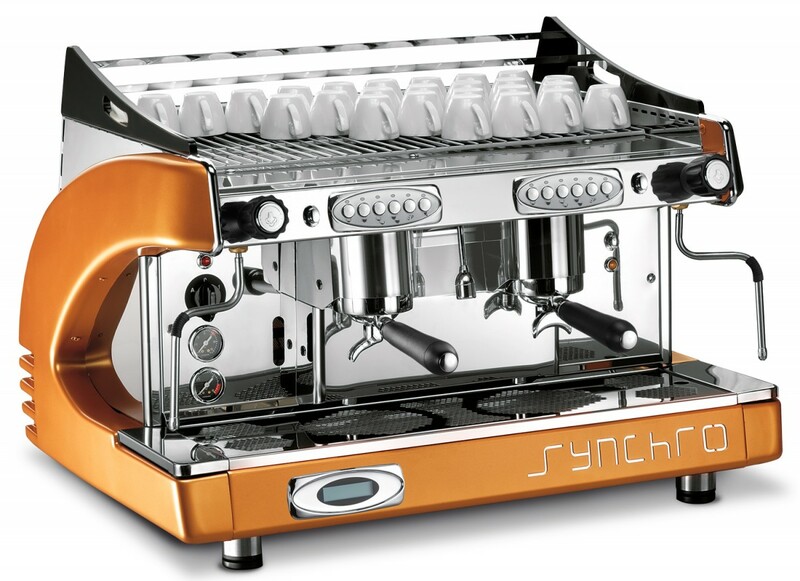 As a dynamic family coffee business, we supply a range for all tastes, budgets and applications including filter coffee machines and bulk brewers for hot breakfast coffee and banqueting, traditional 3 group and 2 group espresso machines, automatic bean-to-cup coffee machines. This is the ideal way to get good reviews from your guests on Tripadvisor! Serve quality coffee without breaking their bank or yours. 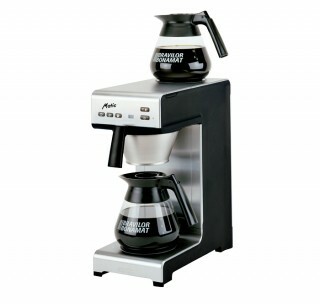 The Swiss-made Jura Giga range of bean to cup coffee machines are some of our favourite professional coffee machines. They have an excellent range of speciality coffee drinks made from beans and fresh milk and also have a 3 year parts and labour warranty. 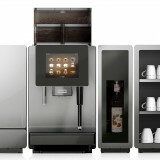 We also offer the Franke and La Cimbali range of heavy-duty bean to cup coffee machines which are ideal for hotels – they offer touch button convenience for preparation of flat white, cappuccino, espresso and caffe latte from espresso coffee beans and fresh milk as well as delicious hot chocolate that is made with fresh milk in the case of the Franke A600FM and the A800FM models. The automation of bean-to-cup hotel coffee machines London is very useful in offering consistent results and with low skills input your staff or in a self-service situation like a hotel leisure club. 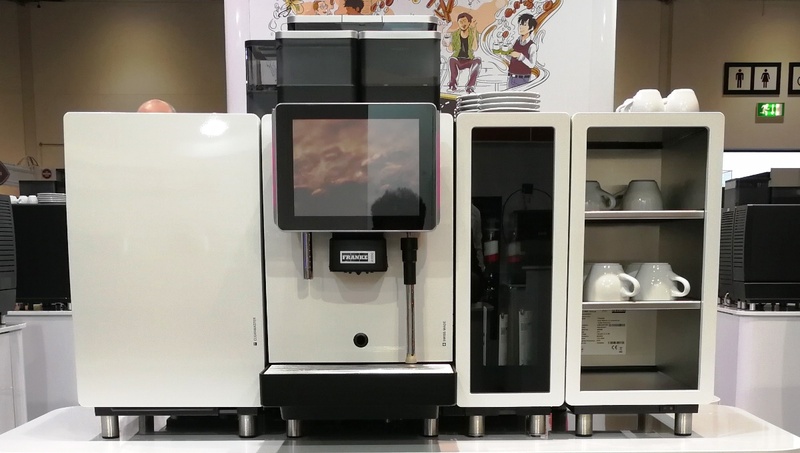 A bean-to-cup coffee machine using fresh milk produces quality drink and the latest generation like the Franke A600 and La Cimbali S39 are also easier to clean than previously. Whatever the coffee needs at your hotel in London; we have probably come across something similar; we have made mistakes ourselves and would be delighted to work with you to improve and further enhance your coffee sales with our hotel coffee machines range. We also stock a range of 16 prime coffees in espresso beans and filter ground form which includes Fairtrade and Organic coffees. Contact us to discuss your needs or visit our coffee machines showroom and coffee school at Gee Street, Clerkenwell, our showroom is close to Barbican and Old Street tube stations, if you are coming on foot look out for the signs for ‘Gee Street Courthouse’. 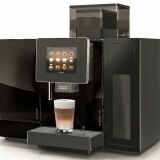 Specialist suppliers of hotel coffee machines London and the South East. Need a cool coffee machine Shoreditch or Hoxton? Call 0203 096 7233 or visit our London Clerkenwell showroom of coffee machines near the Old Street roundabout! 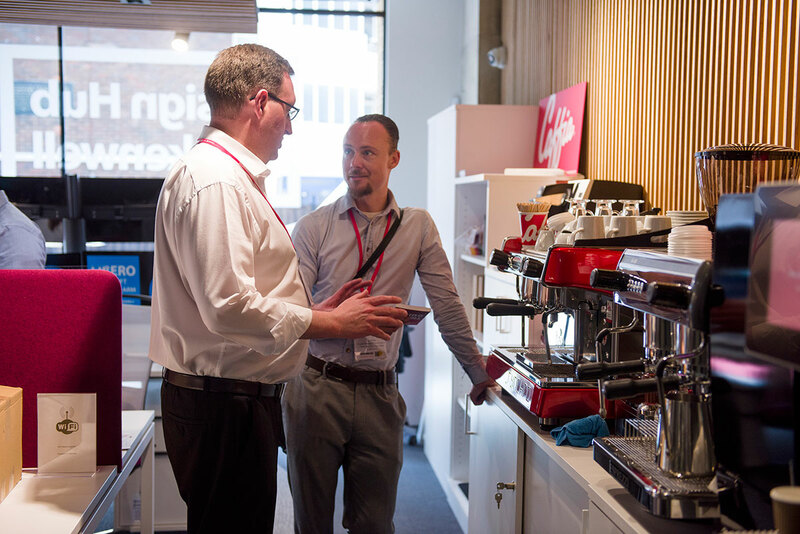 We have a variety of bean to cup and capsule office coffee machines on display at the Design Hub Clerkenwell, 47 Gee Street, London, EC1V 3RS; please do come along for a quick flat white and try out our espresso machines! We are parallel to Old Street; look out for the signs for Gee Street Courthouse. Franke Coffee Systems is a Swiss manufacturer of premium coffee machines; other models that they offer include the new Franke A800, the smaller A200 and the mighty FoamMaster 850; these are very robust coffee machines designed for up to 400 cups per day of caffe latte, flat white, macchiato, cappuccino, espresso and hot chocolate. The Jura Giga range of premium bean to cup coffee machine Shoreditch are also manufactured in Switzerland and these are some of our favourite coffee machines offering remarkable programming flexibility and 2 and 3 year warranties. 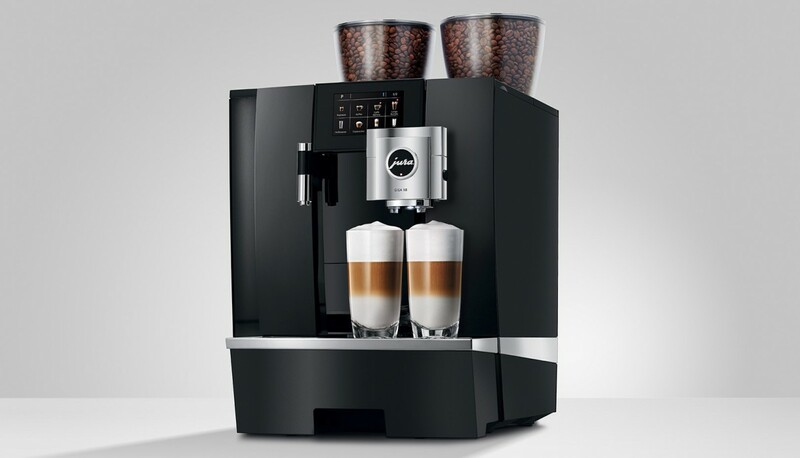 The Jura Giga X3 has an excellent range of speciality coffee drinks made from coffee beans and fresh milk. We offer purchase or 3 year lease rental finance plans for most of our office coffee machines. 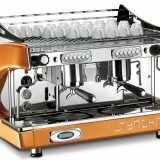 We also offer espresso coffee machines, grinders and barista training. Contact us to discuss your needs or visit our London showroom. Installers of coffee machine Shoreditch, Hoxton and Brick Lane area with Fairtrade, Organic and Rainforest Alliance coffees. Office filter coffee machines London are a great asset for meetings coffee; call us on 0203 096 7233 or visit our London coffee machine showroom. A pour-over filter brewer can often transform the life of a secretary or receptionist by producing batches of fresh coffee as opposed to one cup at a time the providing a pleasant and mild brew. Popular filter coffee machine brands which we offer include Coffee Queen, Bravilor, Technivorm and Marco; we are not about to see an end to the surging espresso-based market for flat white, cappuccino and caffe latte but these are, by nature, a strong and concentrated drink whereas filter coffee can be more enjoyable for repeated cups – try our South American or Fairtrade Colombian Decaffeinated – delicious! We’re a family-run coffee business with quick dispatch, coffee machine installation, water filters, barista training and service back up UK -wide. Come along to our Falkirk or Clerkenwell coffee machine showrooms to see filter coffee machines and trial our 8 different delicious filter coffees which are conveniently packed in 3-pint portion sachets so that you have just enough in each pack to make exactly 1 jug. These sachets are packed in 45’s and have 50 filter papers in each case; the range includes both Fairtrade, Organic and Rainforest Alliance certified coffees which come packed with the correct type of coffee filter papers in each box. We also offer decaffeinated coffee. Why not call us on 0203 096 7233 or email for filter coffee samples? 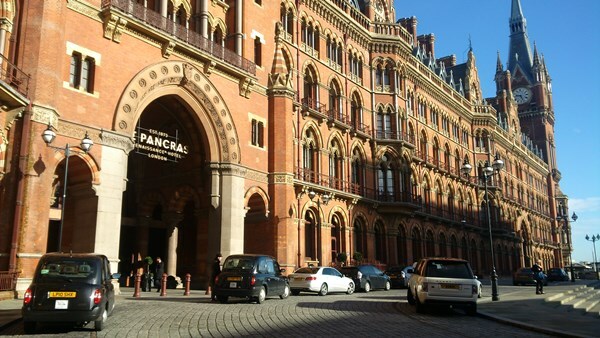 See our London showroom’s position on Google Maps here. We offer a catering filter coffee machines London for catering and businesses; call us on 0203 096 7233 or visit our London coffee machine showroom. 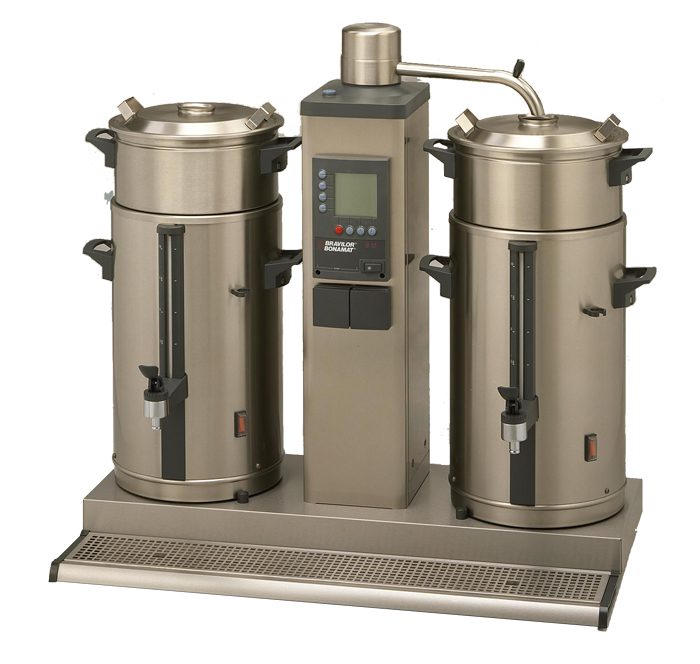 From a simple pour-over filter brewer to a huge bulk-brewer coffee machines for hotels, universities, hospitals and conference centres in Rotherhithe, Shoreditch, Canary Wharf or Westminster. Catering filter coffee machines London produce batches of fresh coffee as opposed to one cup at a time, in the USA they are known as ‘drip coffee makers’ which conveys the idea well, in characteristically American fashion. These machines percolate gently through the coffee in the filter coffee machine paper and the end result – whether a 3 pint (1.7 litre) glass jug, a thermos flask or pump pot or a huge 40 litre urn from a Bravilor B40 is a fairly ‘thin’ pleasant and mildly acidic brew that is enjoyable all day long. We are not about to see an end to the surging espresso-based market for flat white, cappuccino and caffe latte but these are, by nature, a strong drink whereas filter coffee can be more enjoyable for repeated cups – try our South American or Fairtrade Colombian Decaffeinated – delicious! We’re a dynamic family-run coffee business with quick dispatch, coffee machine installation, barista training and service back up UK -wide. Come along to our Falkirk or Clerkenwell coffee machine showrooms to see filter coffee machines and trial our 8 different delicious filter coffees which are conveniently packed in 3-pint portion sachets so that you have just enough in each pack to make exactly 1 jug. Why not call us on 01324 617618 or email for filter coffee samples? Email: sales@caffia.com or view the full range of coffees here.